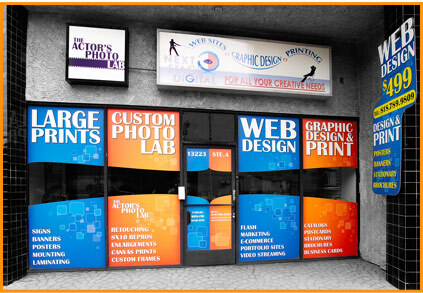 We are conveniently located in Studio City, close to multiple freeways including the 101fwy, 5 fwy, 405 fwy, 170 fwy. We have plenty of free parking available at the back of our office. Are you out of town and need photo reproductions? No problem! We ship to anywhere in the Continental United States. We have clients all the way from New York, Florida, to Washington. We specialize in rush orders with our charging you a rush fee that are delivered right to your door. Since our photo reproduction, name setup, and retouching services are done in house, we can accommodate and provide fast turnaround for variety of customized and special requests. Whether you need 8x10 photos reproduced, zed cards, business cards, composite cards, or a little retouching to make that ordinary photo extraordinary, we are just a hop, skip, drive, or a click away. We are a west coast Los Angeles based photo lab for headshot printing.